The lap pool is an 8-lane, 25-meter, heated swimming course equipped with a diving well plus 1 and 3 meter boards. Ages 5 Years Old through 12 Years Old. Summer Camp is available June to July. Children will have opportunities to play board games, field games, and plenty of water experiences throughout the day. Tons of fun for kids of all ages! 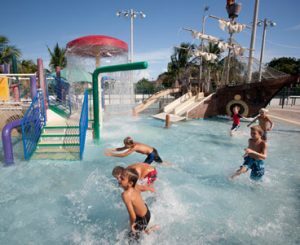 Bring the kiddies to splash around in our handicap accessible Activity pool. Complete with Buccaneer Pirate Ship, Water slides, Playground and Waterfall. 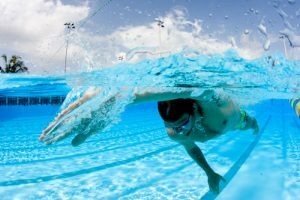 Come splash your way fit through diverse bi-directional Aqua Fitness! 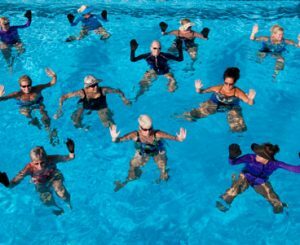 Join Monica as she guides you through water fitness. Deep and shallow water classes available. Our therapy pool comes equipped with stairs and/or a handicapped ramp entry and it is heated. Great for physical therapy, learning to swim, or just relaxing. Swimmers ages 20 and up. This program is designed to help you set and achieve goals whatever they may be. 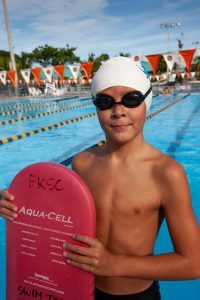 From fitness swimming to competition. 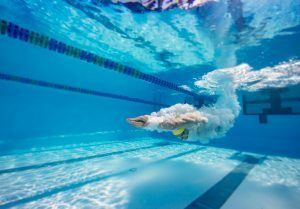 We will achieve these goals through learning stroke technique and efficiency in the water. We only move at a pace with which you are comfortable.